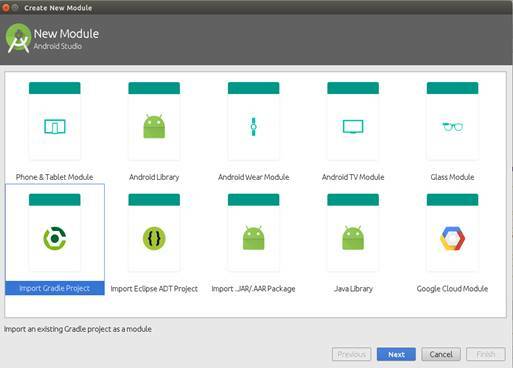 This article demonstrates how to integrate PayUMoney SDK in Android application. With the help of this PayUMoney SDK, the Android application would be able to make electronic payments through Debit card, Credit card, and Netbanking. This article demonstrates how to integrate PayUMoney SDK in Android application. With the help of this SDK, the Android application would be able to make electronic payments through Debit card, Credit card, and Netbanking. A transaction can have different states. Some of them are as follows. Click "Project Structure" under "File" menu. Click on "+" button to add new module. Browse and select "PayUMoney SDK". For adding this as dependency in your project, please follow the steps given below. Select your project and go to "Dependencies" tab. Click "+" on the top right corner and select "Module dependency". Now, we need to contact PayUMoney for getting our Merchant Id and Key. In our application, there will be one button for initiating the payment. On click of that button, we need to call the PayUMoney SDK with some parameters, as given below. Udf1 to udf5 are user defined fields; these can have any values if the user wants to post any additional data. The following function will calculate the hash code. On the "Pay Money" button click of your application, please write the following code. Here, we are calculating the hash code from the Server itself. Here, we are calling PayUmoneySdkInitilizer.startPaymentActivityForResult(MyActivity.this, paymentParam); to perform the transaction. And after the payment is completed, the onActivityResult method will be called. There, we can show the response to the user. In this article, I have discussed how to integrate PayUMoney SDK in an Android application .